Monday - Saturday: 12:00 – 01:00 Sunday: 12:00 – 00:30 Please note we are unable to take reservations for The Terrace. Requests are welcome but never guaranteed. 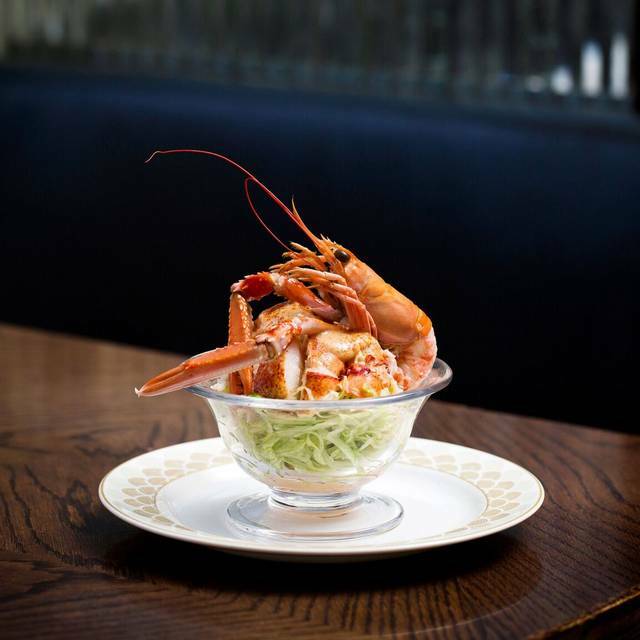 The restaurant is eight minutes' walk from Green Park or Bond Street tube station. Alternatively Oxford Street is five minutes' walk and is well-served by the London bus network. 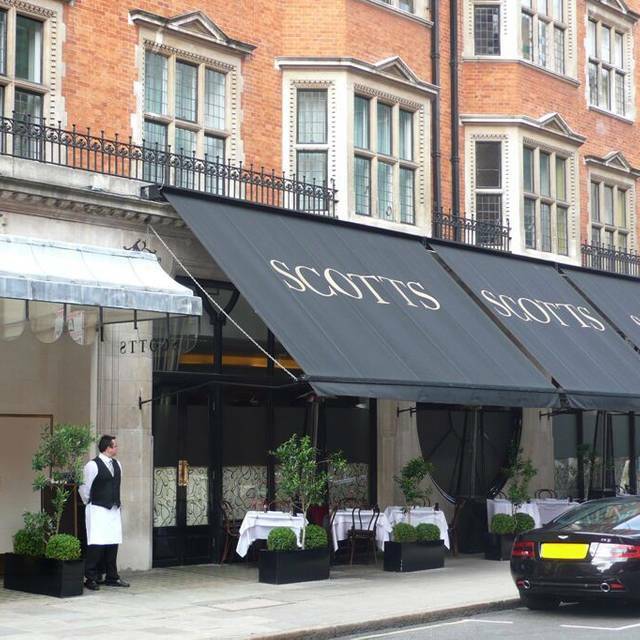 Scott’s in Mount Street, Mayfair, is a seafood restaurant offering the finest oysters, fish and crustacea. Seasonal game, meat and vegetarian dishes also feature. 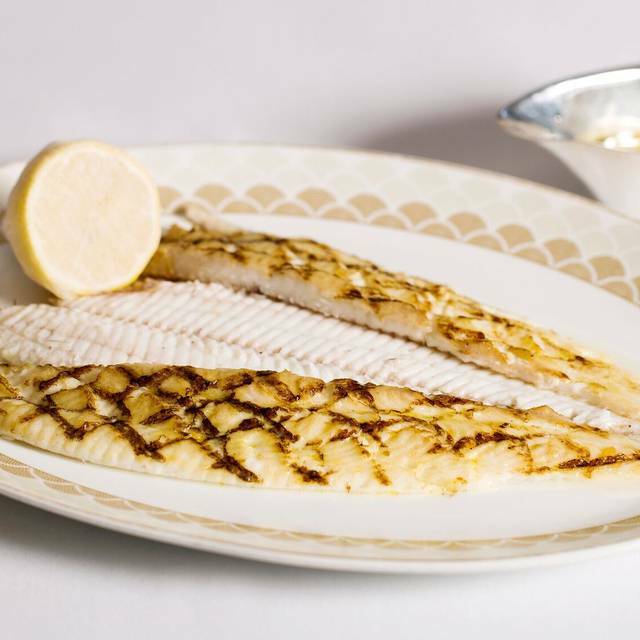 Our fish are responsibly caught from sustainable sources. 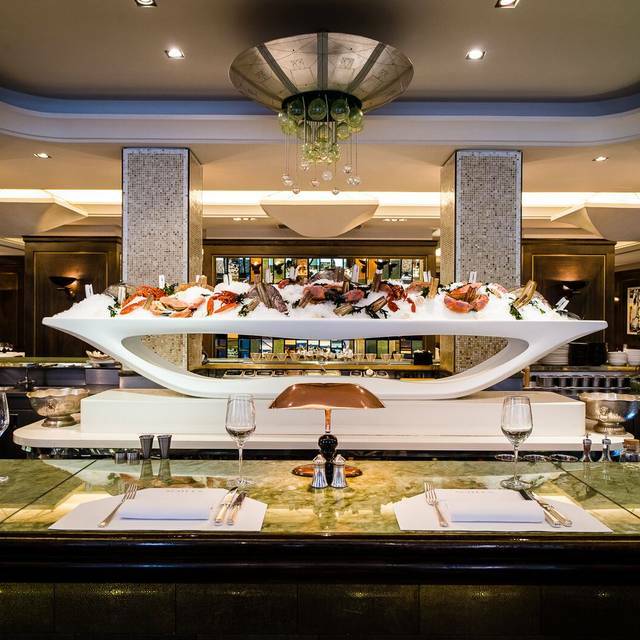 Tables look on to the elegant oyster and Champagne bar with the full à la carte menu being served throughout the day from 12 noon. Great service sitting at the bar! Excellent fish, amazing service, we would definitely go back! Impeccable service & delicious food. My guests were very impressed. It is well air conditioned, so on a warm day ladies maybe will want to have a shawl with them. An excellent meal with the freshest of seafood. The spicy salmon ceviche was to die for. Great atmosphere and decent service. You won't be disappointed! Delicious meal! Very attentive to dietary restrictions. Amazing food. Discrete attentive service and a wonderful atmosphere. Well be back!! I took a friend to Scott’s for her birthday. It’s the perfect place for her treat. Great food, honestly priced, outstanding service from the friendly staff and a cosy place for a chatty evening. The desserts are second to none. 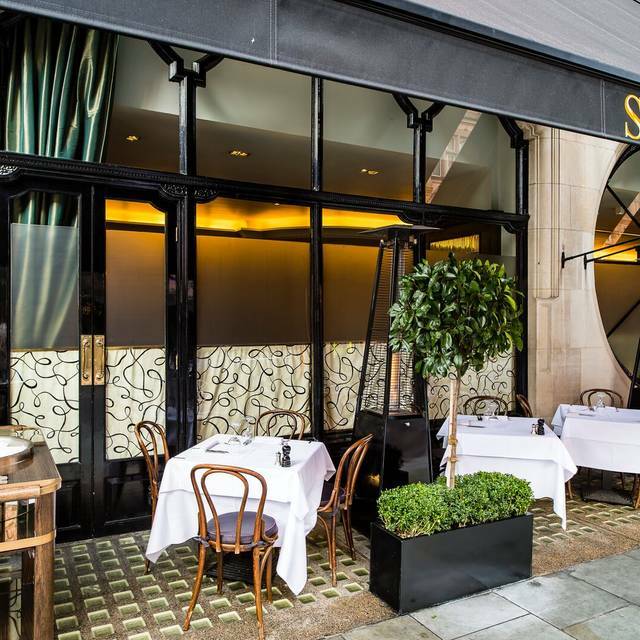 Scott’s is my favorite restaurant in London, if not the world. 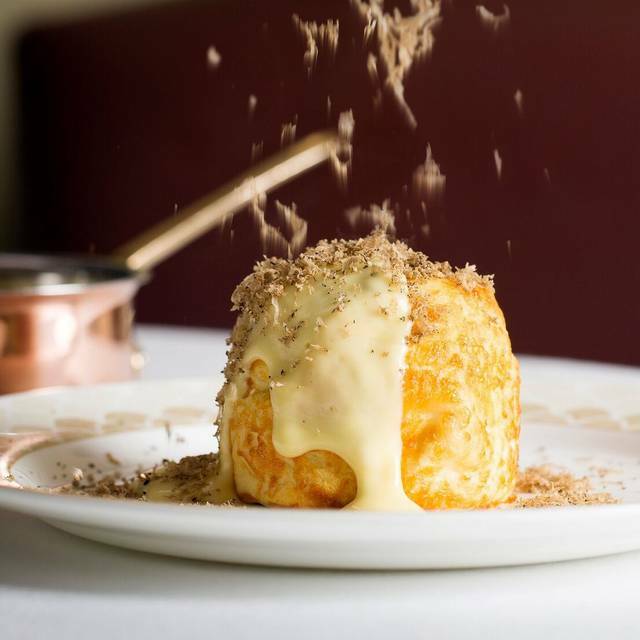 Get the cheese soufflé, lobster thermadore and steamed pudding! I just hope it was one of these days.. after all there’s always space to improve... no??? Best seafood ever. Exceptional service. Perfect place for a business meeting or special occasion. Lovely atmosphere, wonderful food and attentive but not intrusive staff. Went here for my birthday and could not have been happier with our choice. A great atmosphere in there, nice and busy but not too noisy. Wonderful greeting from Maitre d on arrival and service was faultless. The food was wonderful, good portions, so tasty and large selection on the menu. 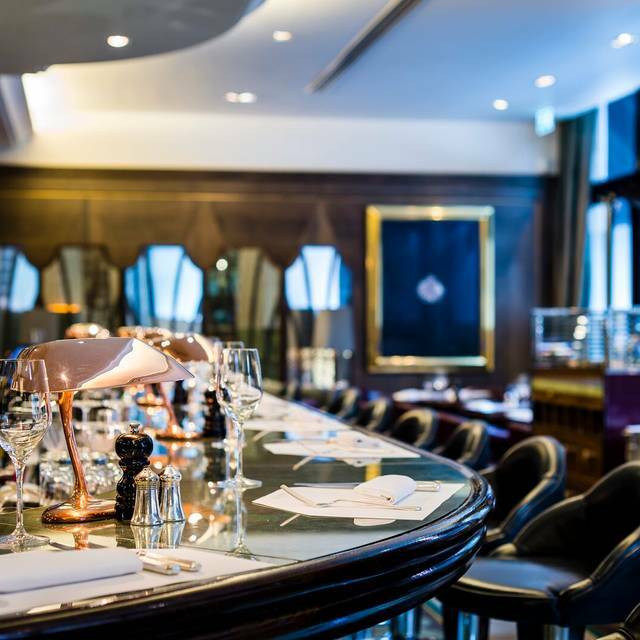 My friends and I eat in a lot of nice restaurants from The Wolseley, Petrus, Dinner by Heston, Fat Duck etc. and I would rate this as one of my new favourites. We arrived with our baby fast asleep & had not warned the restaurant we had a buggy. Our original table wasn’t safe for the buggy along side, the staff were most hospitable in finding us another suitable table at late notice! Very impressed upon our second visit even with young children. Lovely food, great service. Gorgeous interior . Classic London restaurant. I thought the food was good not great. 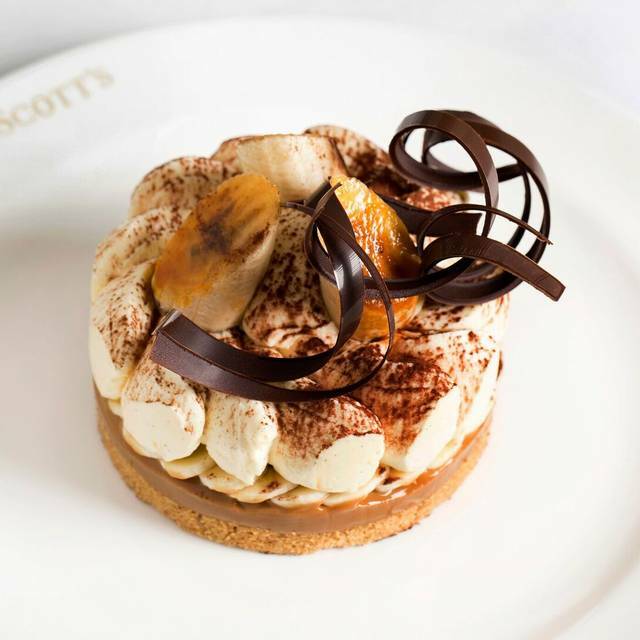 We re-visited Scott's after having dined here on our last trip to London, and this experience was even better than the first. Upon arriving, we were asked if we'd like to have a drink at the bar before being seated, even though our table was ready. We accepted and it was a very nice way to start a relaxing evening. Our waitstaff on this visit was more pleasant and welcoming than one person who wasn't as much so on our first visit. The food was wonderful again, although the creamed Spinach had an odd seasoning to it that we weren't expecting - something like five spice. This could be a cultural thing; we don't season creamed Spinach like that in the U.S. My filet of Brill was flavorful, my friend's Dover Sole was as well. We split the Banofee Cheesecake for dessert (do not attempt alone! ), and it was divine. We started our dining experiences in London here, and the other evenings were letdowns after this. I honestly considered trying to get in again our last night (and wish I had.) 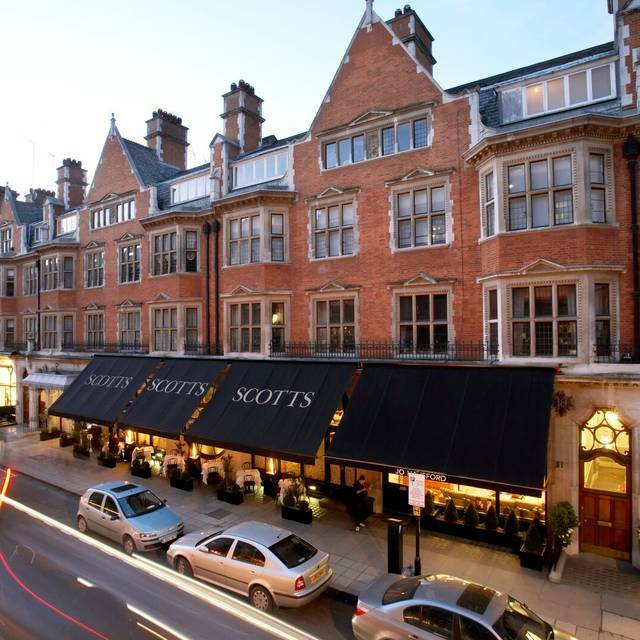 Scott's is now a staple on our London trips. A longtime favorite, Scott’s never disappoints! Good service. Good quality food. They kindly provided an extra dessert with congratulatory message for my friend who had a big birthday. The octopus carpaccio and grilled lobsters were nice. No es la primera vez que voy! Las otras veces mucho mejor, he de decir que esta vez el restaurante estaba hasta arriba!! Llegue a la hora que reserve y me dijeron que no tenían mesa todavía, no pasa nada nos ponen en la barra y estás cosas pueden pasar al final a los 15/20 minutos nos sientan pero no en el comedor en una de las mesas cerca de la barra, con mucho ruido y con la mala suerte que en la mesa contigua estaban dos chicas que no paraban de hablar alto, la comida como siempre muy rica, el servicio atento y bueno! Pero bueno no estuve tan comido como las otras veces y esto al final no me hizo salir con el buen sabor de boca anterior! Creo que si reservas que menos que te pongan en el comedor también es verdad que las otras veces hemos ido 4 personas y esta vez éramos dos y las mesas de dos sean alrededor de la barra! Once again a fantastic meal in a great atmosphere, the overall bill was quite expensive for two but we did have a lovely bottle of Ruinart blanc de blanc champagne at £115.00 a bottle which was a fair price. Scott's is still up there!! I am a repeat client and have always enjoyed my time at Scott’s. The food is excellent and we’ve always had impeccable service! Worth saving up for! High quality food, service and overall experience.